AMETEK SMP produces powders for a wide range of critical applications in China, including powder metallurgy components, surface coating, titanium alloys smelting, hot polymer filtration and sintered filters. 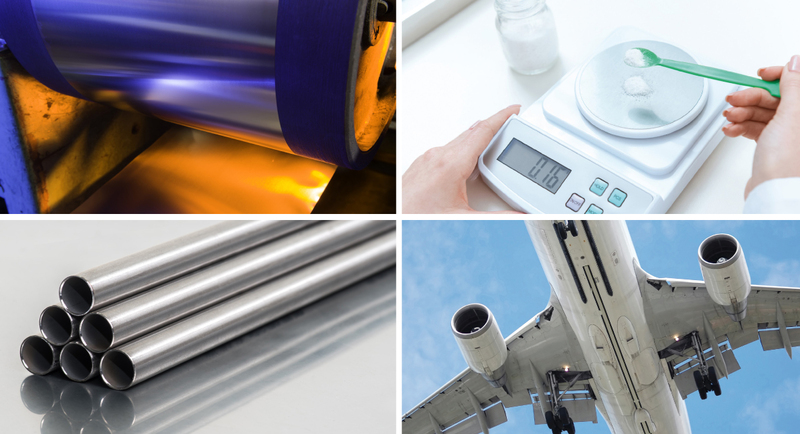 The business also supplies high performance tubes to the major aerospace manufacturer, COMAC, and demand continues to grow for its ultra-thin foil products in China’s electronics and weighing instrumentation industries. “Customers are increasingly buying our metallurgical products because of our worldwide reputation for technical innovation and product quality across our entire range. Looking to the future, we will continue to develop the range of niche markets we serve and we see great potential from new high-end applications in the country,” commented Michael Zhu, Regional Sales Manager for China and Hong Kong. Helping to support this sales growth is AMETEK SMP’s involvement in key exhibitions and conferences in China. In March 2019, Michael Zhu will attend the 12th Shanghai International Powder Metallurgy Exhibition & Conference (PM China 2019) to promote the businesses’ expertise in specialty stainless steel and other high alloyed powders. Then in July 2019, AMETEK SMP will be exhibiting at InterWeighing 2019 in Shanghai. This event is the world’s largest trade show specializing in the full range of weighing instrument equipment – a major industry for Hamilton Precision Metals, one of AMETEK SMP’s six constituent businesses. Hamilton Precision Metals will present its Evanohm® R strip, a unique nickel alloy developed for the manufacture of strain gauges for the pharmaceutical sector, another key market with growing demand for the business in China.